Traveling to the mountains of Nepal in itself is a great adventure. If you want to experience the best of the adventures the Everest Base Camp trek will serve you the best. Besides holidays, considering a lot of external aspects before actually scheduling your trip is very crucial. 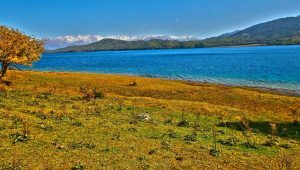 Rainfall, temperature, and Nepali festivals in various seasons are some of the major factors that will add in to the overall experience of the trek. The time of the year you actually plan the trek is crucial. The weather in the higher altitude is definitely not your concern, it is most unpredictable there. But the lower regions could use some clear skies. Allow us to share some information on the Everest Base Camp- when to go? Nepal is situated in the Northern Hemisphere of the world map. And therefore, its temperature variations highly coincide with that of the European seasons. So, if you are coming from the European countries, the weather might not be much different and you might find it comfortable to adjust to as compared to travelers from other parts of the world. Besides this, the climate here is widely affected by two major factors: winds routing to the south from the Bay of Bengal and winds that are directed from the main Asian continent and are moving to its north. During the months of summer, specifically from June to August, the winds that are coming from the Bay of Bengal take the control, leading to the South East Asian monsoon. While in the winter, that is from December to February, the winds emerging from the main Asian continent become powerful, hence causing the temperature to drop. There are times when the winds coming from the North and the South cancel out each other, making the atmosphere decent and calm. Besides the climatic factors, the altitude also adds into stirring the seasonal variations. Further, the socio-cultural lifestyle such as the festivals and events makes your adventure unique and special. With critical understanding and thorough investigation of the factors that genuinely affect the weather at Everest, below are my recommendations. 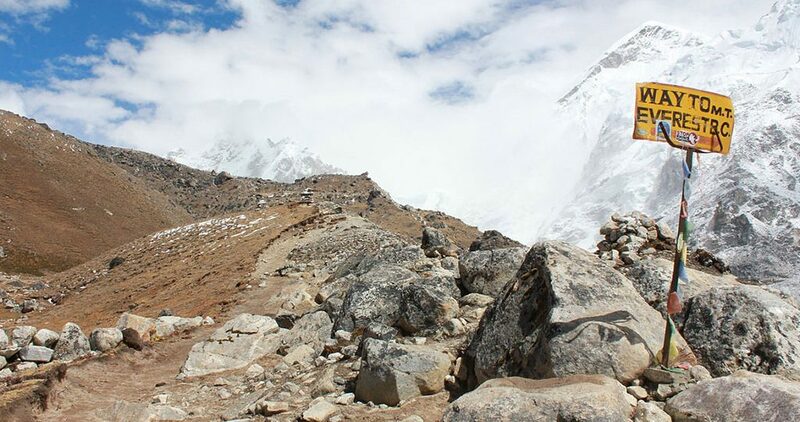 One of the excellent time to trek to Everest base camp is from February to May. As the weather is mostly clear and you will have bright days with warm weather conditions. This calls in for better visibility and nominal risk. As moving forward in the year, the rainy season approaches and so does the rain in every forecast. Thereby, increasing flight delays at Lukla. Generally, most of the days are fairly dry and stable. There will be spectacular sights with Rhododendrons on display during the month of April. Also, you should expect this period to be the busiest of all times, as this is the season for most of the Everest summit attempts. Having said that, if you are very much interested in mountaineering scene, this can be a great time to actually meet a few passionate fellow trekkers attempting the summit. You can also rejoice the festive vibes that comes along with the celebration during the months of May/June. It is called the Dumji festival. Scheduling your visit while and during the festival season can be a treat to your taste buds. You will get a seasoning to your trekking meals while you understand and enjoy the local culture and cuisines more closely. 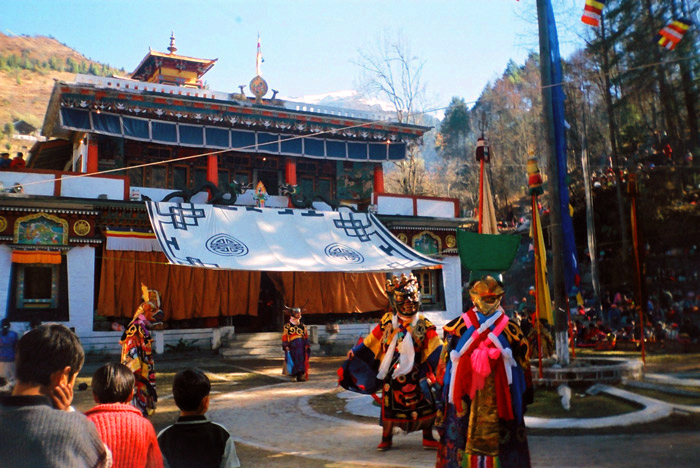 The festival is basically celebrated in the Tengboche, Namche Bazar, Khumjung, Pangboche and Junbesi areas of Solukhumbu. But among these, Namche celebrates the most interesting and popular one. The entire event is sponsored by a chosen family who will, for 4 days, be responsible for feeding everyone with food, drinks and almost everything. 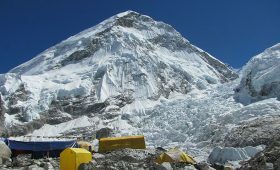 Previously, September through October used to be the most crowded time of the year at Everest base camp, as the weather used to be relatively stable, clear and quite warm. 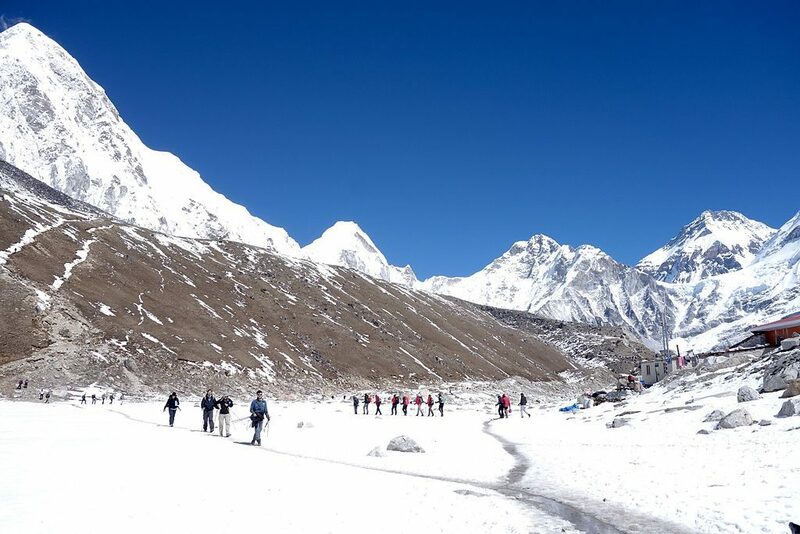 Though these months are still famous among the trekkers, the best months for trekking to Everest base camp have extended to November and December. 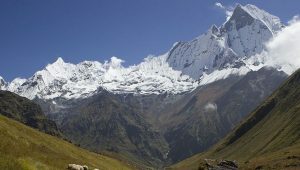 November and December offers many favorable conditions for trekking. There is a better chance of dry days and clear blue skies with minimum delays in flight. Though the time is not the warmest of the year, you will have a pleasant temperature for trekking. Also, the nights do not get unbearably cold until January. The Everest region, you’ll witness some great festivals like Mani Rimdu in the month of October/November. It is a 19 day long celebration followed by prayers, masked dances, food and homemade wines. If you’re planning for your Everest Base Camp trek in late October or early November then you are very likely to witness this festival at the Tengboche Monastery of Khumbu region. If you are opting for trek during September and October then better be ready for some leftover rain. Monsoon approaches to end by the end of July and begin of September. This should be quite refreshing. Be prepared to deal with a fair amount of traffic because this time of the year is the busiest. 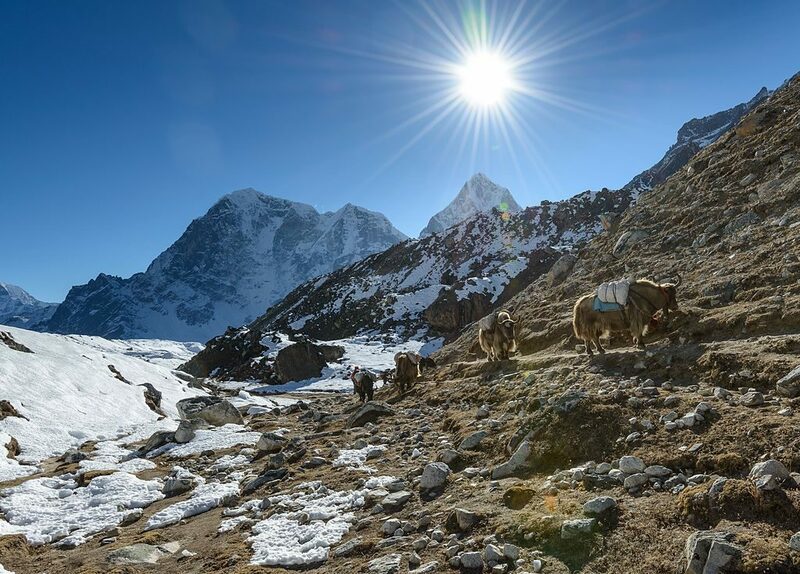 According to the Nepalese calendar, January is the coldest month and have very less crowd up for the trek. However, if you are a really hardy traveler, why not? It will undoubtedly be cold, but the weather is generally stable and dry. The cold will be challenging as you go higher in the trek as the weather greatly depends upon the altitude. For instance, if you are going to Everest Base Camp, then the expected overnight temperatures are around -20 to -30 degrees Celsius. Whereas, if you stay down the valleys, then the temperature will be moderate and you will have no problem. But the days are warmer and the nights will pass by cuddling over a common firewood at the tea house kitchen. Also there are a lot of trekkers who love to explore the snowy terrain. In fact, it is during writers that these gorgeous mountains look their best. With proper equipment and gear, winters are the best time if you prefer colder months. But winters are not suggested for novice trekkers. Note: The routes over high passes such as the Gokyo trail or Mera Peak trek are closed during this time of the year and the days will also be much shorter. Therefore, plan accordingly. This is the monsoon season. 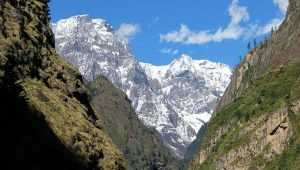 June to August is the wettest period in the Himalayas. If you’re planning to travel at this point of time, you will witness the characteristic monsoon rains that are short, sharp, torrential. With possibly the least crowd, the tea houses and trails begin to empty out in June. You are in for better accommodation and quicker meals. Only a few of the hikers who are looking to trek high are seen during these months. Hiking during the monsoon period have high chances of rain, muddy & slippery trails, leeches and unclear mountain views. But this can be another set of adventure the dare devil in you would like to try. Though the experience can be expected not be very outstanding, but it will definitely be memorable. If you are looking forward to trekking in Nepal at or around this period of time, then expect the Dumji festival to fall around June so that the trails remain quite busy with locals travelling for celebration. It would aid you with free food and also glorify your taste buds along the trek route. Selecting the best season for your travel diaries definitely relies on the type of experience you are seeking for. 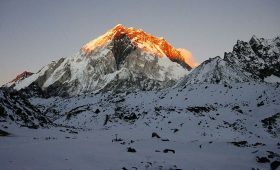 If you want your overall trek to Everest Base Camp be a quiet one despite being challenging, then you should choose winters or mid summers. This is a great time if you do not like to be one in the crowd and want to rejoice the isolation in the wild. But if you are looking to get the best view and have no major issue with the crowd, then you should schedule your trip in the most common and popular seasons. In fact you will enjoy sharing your experiences with your fellow trekkers you meet at tea houses. 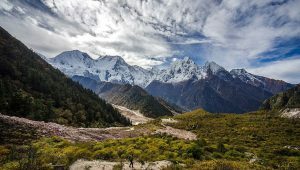 Famous for being the home to the tallest set of mountains, the Khumbu region is also recognized for its typical culture, tradition, people and yes, not to forget, its festivals. Trekking at this region of Nepal gives you a lot more opportunities than just walking past the trails. The beauty of the mountains spreading wide through your vision, the gracious sunrises and sunsets, the charismatic viewpoints, breathtaking sights. The overall journey to reach the base of the world’s highest peak is something that you can cherish for a lifetime. The Annapurna region is another great alternative for the monsoon. It has much drier climate during the summer months. For further details on training programs, hiring guides, travel insurances, expert tips, and a blissful experience while trekking, feel free to contact us. 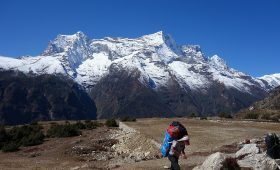 We provide one of the best trek and travel services in Nepal.